Contest: Win Berlin, I Love You on Blu-ray and Digital! Keira Knightley, Helen Mirren, Jim Sturgess, and Diego Luna head an all-star cast in this sparkling film from the producers of Paris, Je T’Aime. Set against the vivid backdrop of Berlin, Berlin, I Love You weaves ten stories of compassion, redemption, and acceptance into a rich tapestry of life — and love. 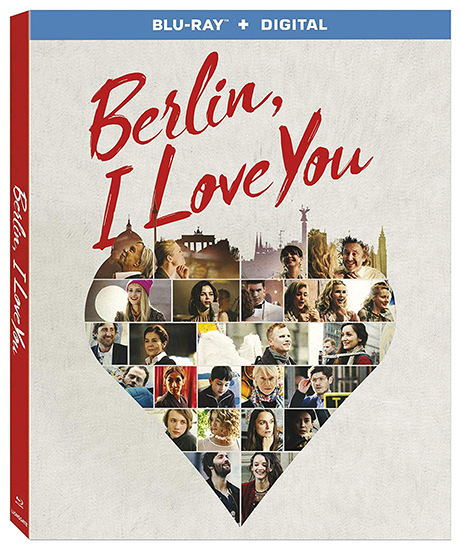 Berlin, I Love You releases on Blu-ray, DVD, and digital on April 9, and we have one copy of the Blu-ray combo pack to give away to a lucky winner! You have from now through midnight Eastern time on the night of Monday, March 31, 2019, to get your entries in. Take a look at the form below to see all the ways you can enter.